The Main University In Mining And Geological Industry Celebrates Its 100th Anniversary. Российский государственный геологоразведочный университет имени Серго Орджоникидзе. Наука. ScienceCluster.Ru - пресс-релизы, новости, мероприятия, предложения, аналитика, консультации. Новости. Опубликовано 03.12.2018 12:16 Просмотров всего: 14172; сегодня: 35. 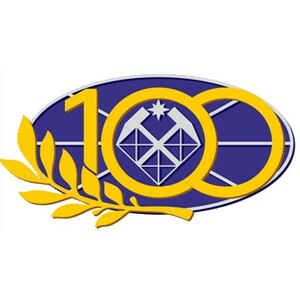 Sergo Ordzhonikidze Russian State University for Geological Prospecting, the direct heir of the Moscow Mining Academy, celebrates its 100th anniversary on December 5, 2018. The program “Generations Meeting” has been clarified. Deputy Prime Minister Alexei Gordeyev, Minister of Natural Resources and Ecology Dmitry Kobylkin, Minister of Science and Higher Education Mikhail Kotyukov and Rosgeo CEO Roman Panov are invited to celebrate the 100-th anniversary of Sergo Ordzhonikidze Geo University. In addition, the event is to be attended by representatives of the Government of the Russian Federation, members of the Council of Federation and deputies of the State Duma, heads of relevant Ministries and departments of the Russian Federation, Rosgeo management, academicians and corresponding members of the Russian Academy of Sciences, heads of enterprises and organizations of the geological industry, colleagues from other higher educational institutions. Among the invited scientists and geologists are those from Austria, Australia, Azerbaijan, Algeria, Angola, Armenia, Afghanistan, Belarus, Bulgaria, Vietnam, Georgia, Egypt, Italy, Iraq, Kazakhstan, Canada, Qatar, Kyrgyzstan, Colombia, China, Mongolia, the Netherlands , Poland, Saudi Arabia, Sudan, USA, Tajikistan, Uzbekistan, Ukraine, Germany and other countries. The celebrations begin with a meeting of the University graduates. The registration starts at 10:00 in the lobby and lasts for an hour. After, the graduates visit University museums, have a look at interactive sites, take 3D pictures and just have coffee together. Starting at 12:00, graduates visit their home faculties - hydrogeological, geophysical, the faculty of technology of exploration and development, the ecology, the faculty of economics and management - will get a chance to meet their students and current leaders. The information on meeting places at the faculties are given in the Program, fully listed below. After visiting the faculties, all guests are welcomed with coffee in the Lobby. The ceremony of the anniversary marked envelope cancellation, dedicated to the 100-th anniversary of the University, starts at 13.30. The awarding ceremony of “Geology of the Future” contest winners starts at 14:00 in the meeting room of the Academic Senate. The round table conference “Problems of personnel and scientific support in mining industry” is held right after the ceremony, the moderator of the conference is Vasily Lisov, The President of Sergo Ordzhonikidze Russian State University for Geological Prospecting. The government ministers and Rosgeo authorities are expected to take part in it. The jubilee meeting and the festive theatrical performance begins at 15:30 in the Assembly Hall, opening with a speech of honored guests. It will accomplish the evening. The program of celebrations "Generations meeting". Venue: Moscow, Sergo Ordzhonikidze Russian State University for Geological Prospecting, Miklukho-Maklaya St., 23. Visiting museums, interactive sites & exhibition. 11.00-15.20 - Academic class № 4. Solemn meeting of the University graduates. - Department of Engineering Geology - room № 5-26. - Department of Mathematics - room № 4-37. - The Department of Mechanization, Automation and Energy GiGR - room № 3-13. - Department of Ecology and Nature Management - room № 3-30. Visiting the Faculty of Economics and Management - room № 5-21. - Department of Paleontology and Regional Geology - room № 5-89. Solemn ceremony of commemorative cancellation of the anniversary marked envelope, dedicated to the 100th anniversary of the University. 14.00 Meeting Room of the Academic Senate. "Geology of the Future" winners contest awarding ceremony. 14.30-15.30 Meeting Room of the Academic Senate. Round table conference “Problems of personnel and scientific support in mining industry”. II. Jubilee meeting and festive theatrical performance. Festive theatrical performance and concert.